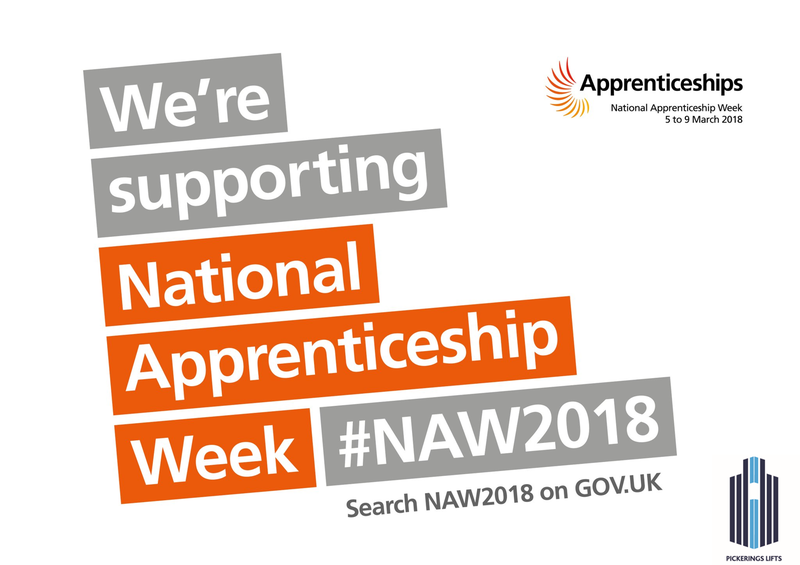 Home » Activities » National Apprenticeship Week 2018! Long before Lord Alan Sugar became a household name with his show “The Apprentice”, Pickerings Lifts was hiring young apprentices and kick starting their careers. 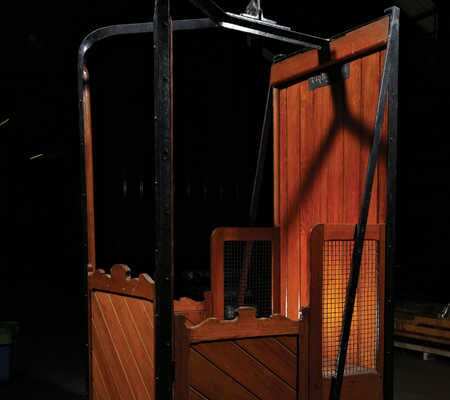 Pickerings Lifts has always recognised the importance of investing in young talent, laying solid foundations for many young people wanting to progress within the lift industry. We are proud to say that many of our young apprentices have stayed with us for the majority of their career. Even our very own Managing Director, Ian Bowers, started his career as an electronics apprentice in the Royal Electrical and Mechanics Engineers (REME). 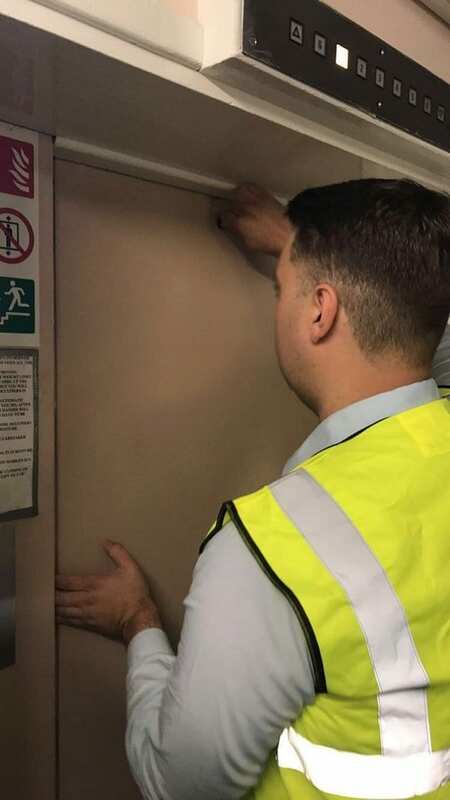 We are committed to the recruitment of apprentices, offering them the opportunity to learn from our highly-skilled engineers and benefit from first-class training; providing them with an invaluable initiation into the lift industry. Becky (Finance Assistant, Head Office) joined Pickerings Lifts as an apprentice in September 2014. 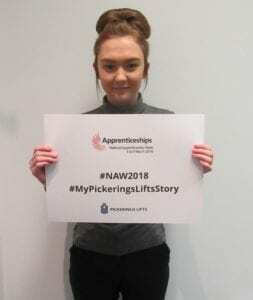 Starting with AAT Level 2 in Accounting, Becky has progressed through the levels whilst working at Pickerings Lifts and is currently studying for her AAT Level 4 at Middlesbrough College. Nathan and Steven (Lift Maintenance and Repair Engineers, North East) both came to Pickerings Lifts from school as apprentice engineers and are still with us more than seven years later. Pickerings would like to say a huge “WELL DONE” to all of our apprentices for all your hard work and dedication! Keep up the good work! 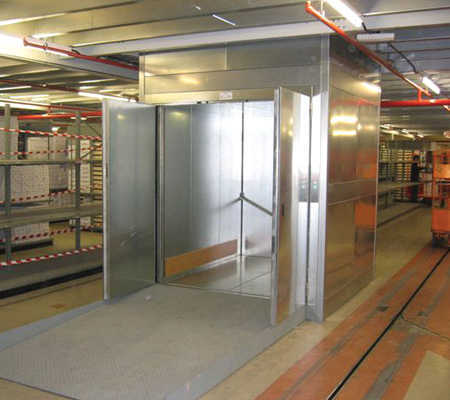 Want to work with Pickerings Lifts? Visit our careers page to find out more.